eToro Group Ltd., which runs a financial trading service, has raised a Series E round of $100 million, as it seeks to develop blockchain-based technology, the Israel-based company announced Wednesday. The funding round was led by China Minsheng Financial Holding Corporation Limited, a diversified holding company, with participation from Tokyo-based SBI Group, and Korea Investment Partners. eToro runs a website that lets users make investments in a variety of financial assets. Investments can be made manually—or “socially” by copying the trading activity of other users. Nine million people have accounts on the website and last year saw about a billion dollars in deposits by customers, the company said in a statement. Heightened demand for investments in the cryptocurrency has driven the company’s growth, according to the statement. In a phone interview with Calcalist on Wednesday, eToro CEO Yoni Assia said that while crypto is more “dangerous” and “volatile,” people are turning to it because they expect higher returns. He said his company has offered investments in crypto since 2011 alongside stocks and other more conventional financial instruments. 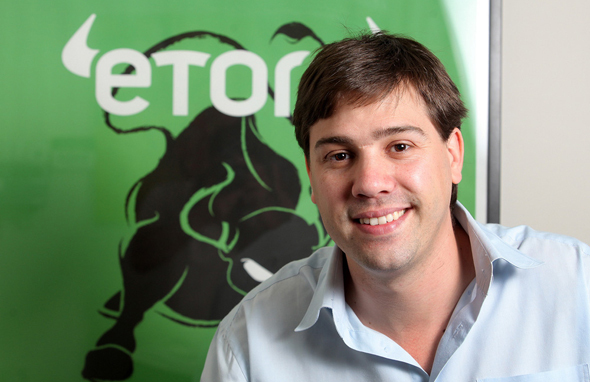 The deal brings eToro’s total capital raised to $162 million. The company was founded in 2006.